Hi everyone! I am so excited to show you the rest of the KBShimmer Spring 2014 Collection! A Touch of Glass is a soft aqua creme with a very subtle shimmer. The formula was smooth and easy to apply. 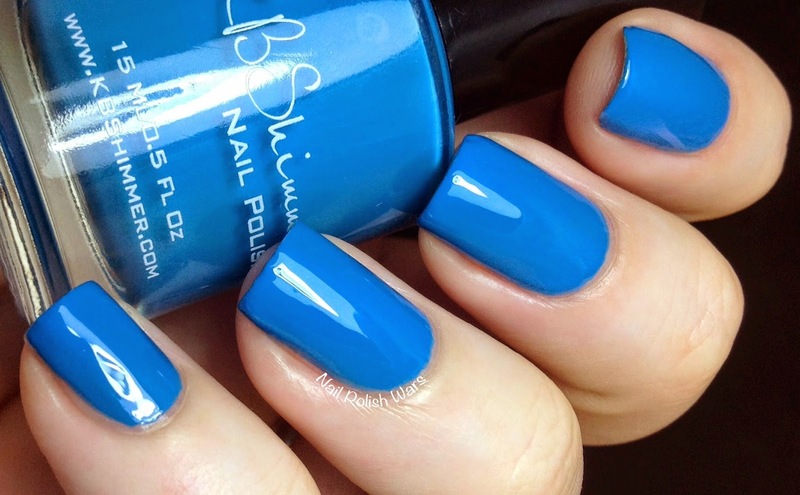 I just adore this shade! 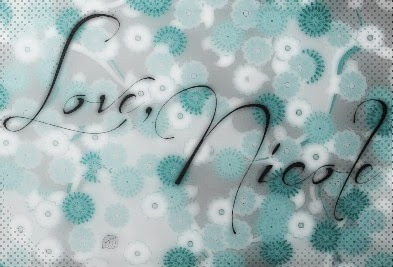 It's so sweet and pretty! Shown is two coats of A Touch of Glass. Eclipse is a black creme. The formula was smooth and easy to apply. I was so excited to see a black creme from an indie! Yay! Shown is two coats of Eclipse. Honeydew List is a soft pastel green. The formula was smooth and easy to apply. I just love this one! The dusty muted quality really makes it stand out to me! Shown is two coats of Honeydew List. My Life's Porpoise is a soft grey creme. The formula was smooth and easy to apply. I adore pale grey shades so this one was an automatic winner! Shown is two coats of My Life's Porpoise. Pansy-monium is a medium purple creme. The formula was smooth and easy to apply. I love how bold this shade is! Shown is two coats of Pansy-monium. 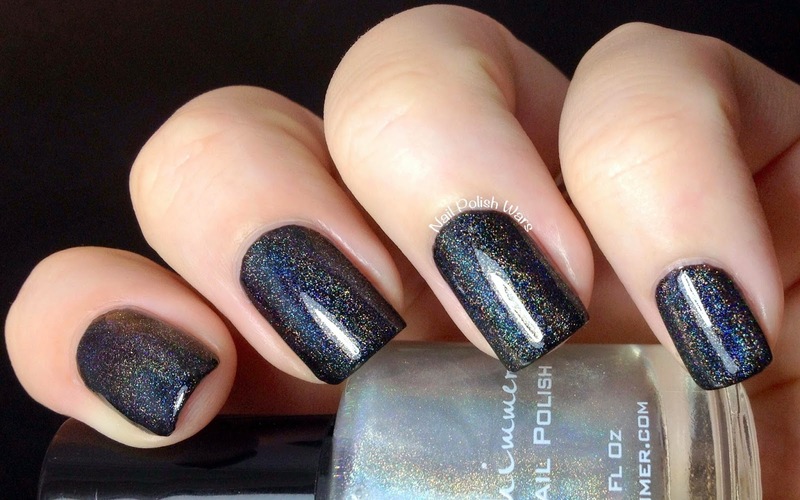 Prism Break is a colorless linear holographic top coat. The formula was smooth and easy to apply. This has such an awesome linear effect after only one coat! 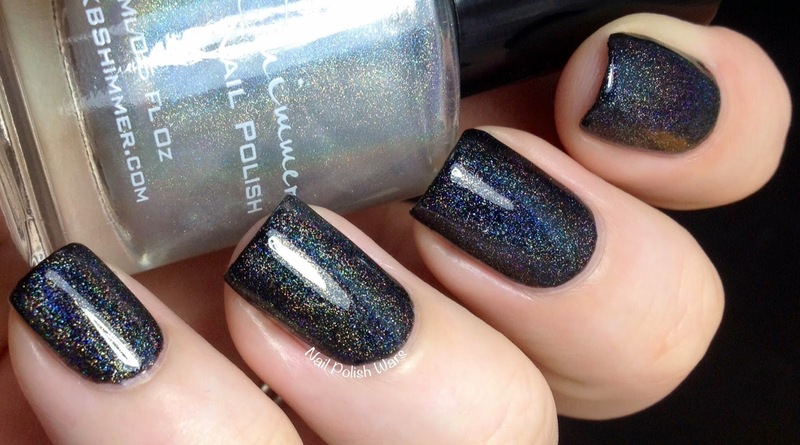 Shown is one coat of Prism Break over Eclipse. Sky Jinks is a medium cool blue creme. The formula was smooth and easy to apply. I love the great not a cloud in the sky feel to this one! Shown is two coats of Sky Jinks. You can find these and other great KBShimmer shades at their storefront here, and be sure to check them out on Facebook for all of their latest updates and collections. Prism Break is by far my favorite! Such pretty cremes! Love that holo topper too. I have been wanting the entire collection since the first time I saw it. I think it is outstanding. 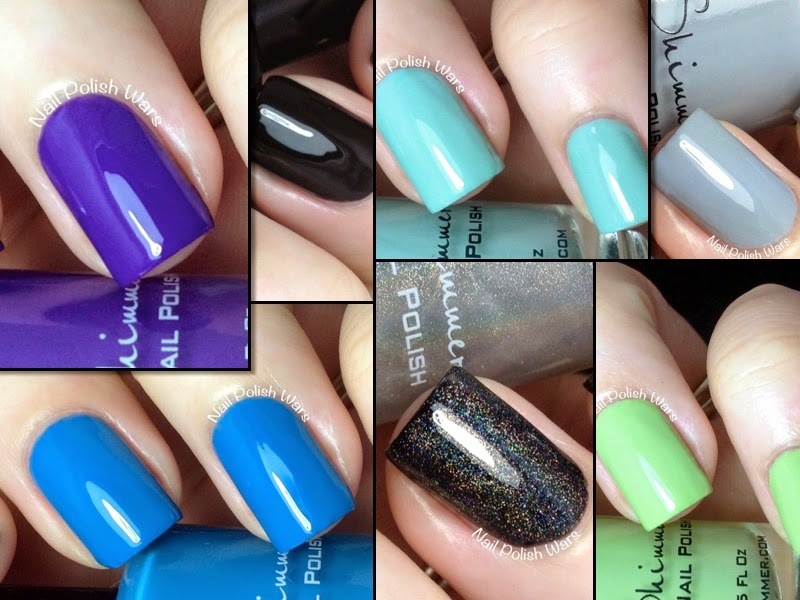 Great swatches and photos! All colours are gorgeous, but I must admit I was a crush on "Eclipse" creme. 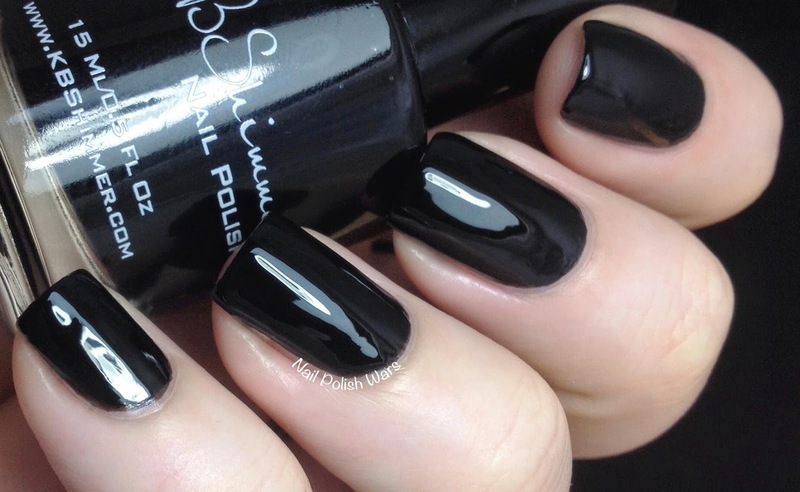 It's absolutely a great black, and I'm not usually keen on black shades. Prism Break is so pretty and versatile!